CEOs, imbued with the private equity spirit, are embarking on radical performance improvement within companies or subsectors which have stood still for too long and face major reformation through market pressure. Whatever the strategy, the option of looking for purely organic growth no longer fits with the requirements of markets or shareholders. Where 10 years ago, the concept to going to one’s shareholders with a deal was close to corporate suicide (Prudential and AIA come to mind), these days not having an acquisition pipeline is the equivalent of a B-…’could do better’. And yet, when it comes to the question of actual delivery, massive questions remain. At the heart of each of these processes, sits a change requirement which, to-date, very few organisations have been able to master….and if we look carefully, many recent efforts demonstrate a worsening rather than improving track record. Elsewhere in this blog, I’ve written about the ‘heroic’ project manager (see link), one who defies gravity to achieve project success, despite rather than because of the organisational culture. For too many organisations, successful change has depended on the loyalty and good will of employees…who increasingly perceive their efforts as undervalued and largely ignored. That dependency is also its downfall. At its heart, change capability is closely linked to corporate culture…and sadly for far too many organisations, change is linked too closely with negative rather than positive events. A little like reading the particulars from an estate agency (cosy = too small to swing a cat within, characterful = decorated by a blind man), the language of change has become code for pain and stress. Process re-engineering = attempted automation, resulting in redundancy, uncertainty about roles and a loss in productivity! By the way, you could probably replace the word ‘change’ with ‘corporate innovation’ and reach a similar conclusion. Reference my above post on LinkedIn I have the following comment: A very interesting perspective from the other side. Looking for inorganic growth at the expense of organic growth is and should not be acceptable. Because CEOs are being forced to look for inorganic growth their focus on organic growth is lost. We also forget that organic growth is not necessarily only about incremental growth. Step changes are also possible. 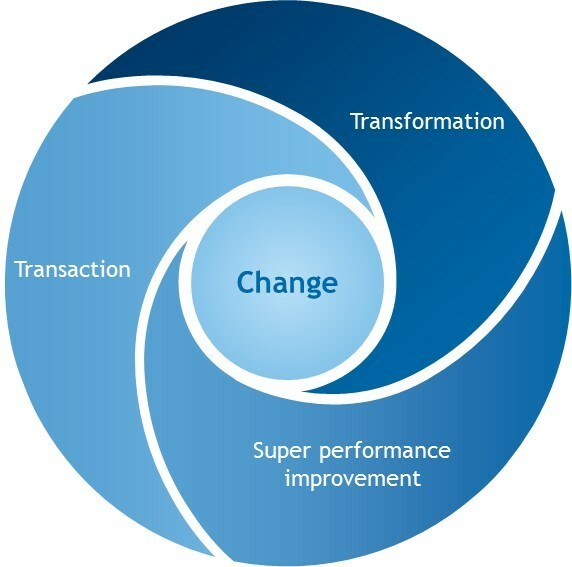 The need for managing change and ensuring implementation is the key in both scenarios.